The Priory Group Nottingham ~ Providing acute and secure mental health, neuro-rehabilitation and specialist educational services throughout Nottingham Nottinghamshire. The Priory Group Nottingham has been fully established for many years working throughout Nottingham Nottinghamshire. The Priory Group is Europe`s leading independent provider of acute and secure mental health, neuro-rehabilitation and specialist educational services. The Group's aim is to bring Hope, Healing and Sanctuary to all the patients and students who need our help. We achieve this by providing high quality healthcare and education in a secure, safe environment that enables people to regain control of their lives. The Group is recognised for its innovation and extensive services and cares for both privately and publicly-funded individuals. The breadth and depth of our offering creates a unique opportunity for clinicians and teachers to immerse themselves in a wide area of expertise and extensive peer support groups. The Priory Group is also involved in a number of joint public sector initiatives with leading universities, colleges and training centres. Metamorphosis remains the cornerstone of our life-changing services. The Priory Group Nottingham ~ Europe`s leading independent provider of specialist mental health, neuro-rehabilitation and special education. Priory is Europe`s leading independent provider of specialist mental health, neuro-rehabilitation and special education services, working in partnership with both the public and private sectors. The Group has been established since 1980. It is jointly owned by institutions and senior management, following a buy-out in May 2002. Annual revenues exceed Â£120m from a comprehensive national presence with over 42 locations, more than 2000 beds and a staff complement approaching 4500. Priory`s aim is to provide the best quality care and services for all and to ensure that these are delivered to the highest standard by professional and committed staff. The Group's values are based on Service, Innovation and Integrity and its purpose is to bring Hope, Healing and Sanctuary to all and to assist each individual to take control of his or her own life within a safe and secure environment. The Priory Group Nottingham ~ Operating a network of acute hospitals. The Priory Group operates a network of acute hospitals, clinics, specialist schools, rehabilitation centres and secure units. 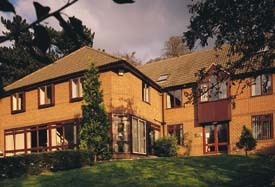 Priory offers treatment and support services for a range of psychiatric and related conditions. In addition to the hospitals, which provide acute psychiatric services covering conditions such as addictions, eating disorders and depressive illness, Priory runs a number of specialist schools and adolescent psychiatry units as well as centres treating patients with acquired brain injuries. Through Blenheim, the Group also operates a number of low and medium secure units for people with enduring mental illness. Priory facilities vary in style from new, purpose built centres that correspond to specialist need, to older style properties, where ambience is a feature of the care programme.